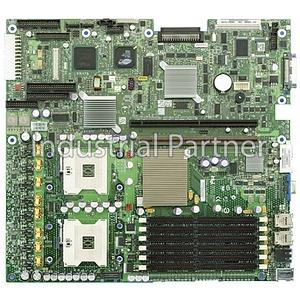 For processing performance, the Server Board SE7520JR2 supports up to two Intel Xeon processors with an 800-MHz system bus and the purpose-built Intel E7520 chipset. A reliable, high-capacity memory subsystem is provided through support for six dual-channel Registered Error-Correcting Code (ECC) DIMM sockets available in a DDR2 400 configuration and with memory sparing and mirroring. The Server Board SE7520JR2 also includes versatile networking through dual integrated Intel PRO/1000 Server Network Connections and flexible and powerful I/O with up to two slots in a 1U system3 supporting next-generation PCI Express* as well as PCI and PCI-X. Input / Output: External USB Ports Internal USB Connections USB Standards Supported VGA Keyboard / Mouse Serial Ports Parallel Port.